Disclaimer: The views expressed in the article are solely of the author and not of the organisation BikeAdvice or any of its sister organisations. The author is not associated with any of the parties mentioned. While I sit and ponder about the future of the Indian automotive industry almost every day, I do not write about it often for various reasons. However, today I am writing this piece to voice some of my opinions, inform you about a few things which have happened and what the Legislature plans to do and find what you think of it. At a press conference in the national capital, Mr Nitin Gadkari, Union Minister for Road Transport and Highways and Shipping, has announced that India will soon not be importing any petroleum! Now while this may sound outrageous at present, if this feat turns out to be true, it will be greatly beneficial for the country’s economy. After all, we import more than 70 per cent of our domestic crude oil consumption. Instead, he wants India to develop as a methanol based economy. Sounds good? 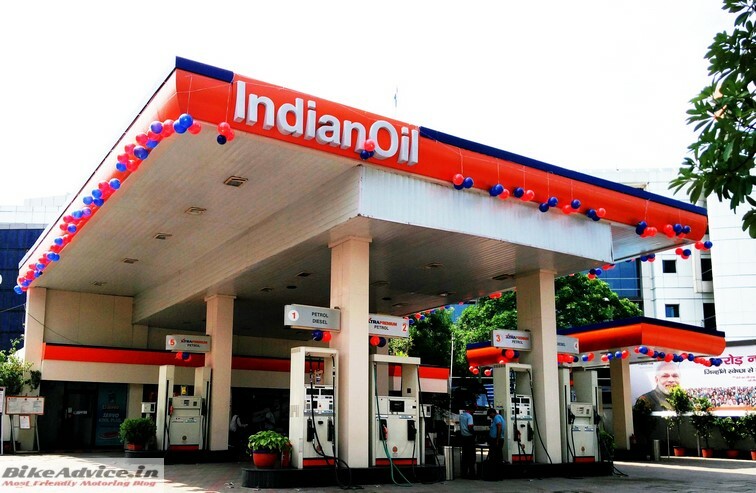 Will petrol stations be a history in India? Where is this methanol going to come from? Mr Gadkari did give several examples such as from rice straw, which is usually burnt and wasted away. North East, which is rich in Bamboo, can use it to make methanol. Several other ways can be developed in India as the economy is mainly agrarian. Why methanol and not ethanol? This debate has been going on for a long time now. While countries like Brasil have shifted to ethanol based fuel, why is the Union Minister rooting for methanol? It is easier to produce methanol sustainably and the entire process is more affordable. Ethanol, on the other hand, is non-toxic and has a higher energy density. Back in the 2000s when ethanol won the race it was more because of political reasons than socio-political ones. Use of methanol will help in increasing the output of spark plug based ignition systems as methanol has a higher octane rating. 114 to be specific. Good news for the enthusiasts eh? Also, environmental activists will be happy to know that use of methanol based fuel will help reduce global warming (methane). Most importantly, methanol will be significantly cheaper than traditional petrol. Well, there, of course, is an endless debate that both ethanol and methanol based fuels corrode the engine thereby reducing the engine life. Also, methanol is less volatile than petrol so it will be more difficult to start the car in cold weather. The hygroscopic nature of methanol also means that it will be absorbing water vapour from the atmosphere which might lead to a problem during prolonged storage. However, there is one major problem which I have against methanol. That is its inherent toxicity. 60 to 100 ml of methanol in one’s bloodstream is enough to prove fatal. So long term effect on fuel station workers will be a major problem. In fact, they would have to be seriously educated about the adverse effects of this fuel. This brings me to what I want to ask from you guys. For years the manufacturers have been making engines which run on petrol/diesel. Changing them to be compliant with methanol will mean new investments by the companies as well as the customers of existing vehicles. How practical does this seem to you?